Stella McCartney staged a charming garden party to present Resort '19, complete with paper lamps, pizza carts and models playing table tennis. 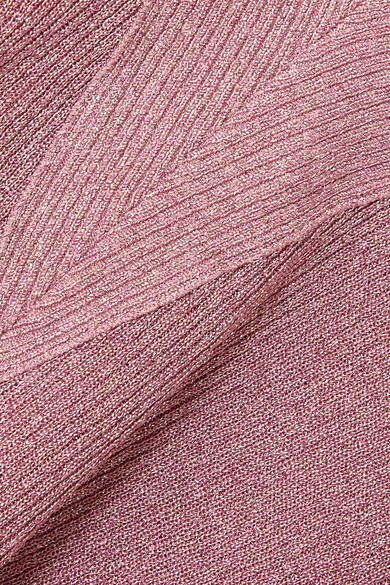 This mini dress has been spun in Italy from shimmering pink and metallic threads. 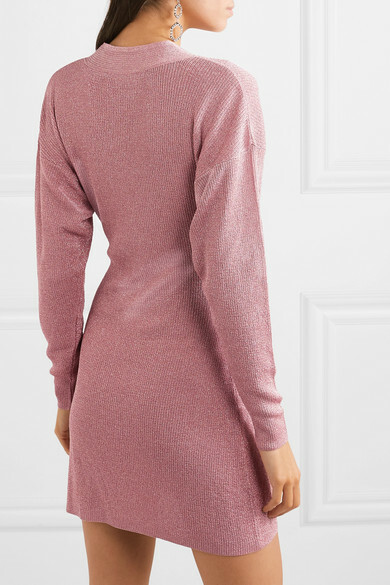 Though it's more than pretty enough for cocktail events, the dropped shoulders and deep V-neckline make it feel comfortable and relaxed. Shown here with: L'AFSHAR Clutch, Prada Sandals, Isabel Marant Earrings.